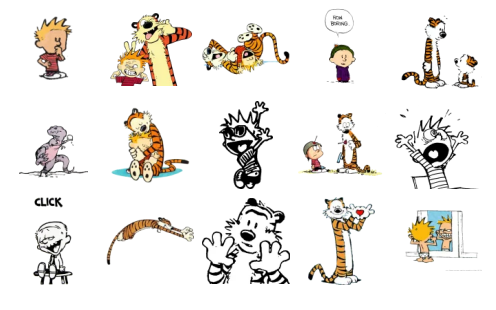 Stickers from the popular comic strip Calvin & Hobbes by Bill Watterson. I take no claim to the original art in these stickers; I simply edited them to have transparent backgrounds and the proper dimensions. All original art by Bill Watterson.